Parkview at Vancouver Center is a contemporary condo building located in downtown Vancouver, across from Esther Short Park. The pet-friendly building features amenities including a state of the art fitness center, common area wifi, clubroom, and garage parking. 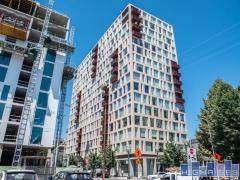 Have any comments or questions about Parkview at Vancouver Center? Ask your question and/or share your thoughts about this Building.